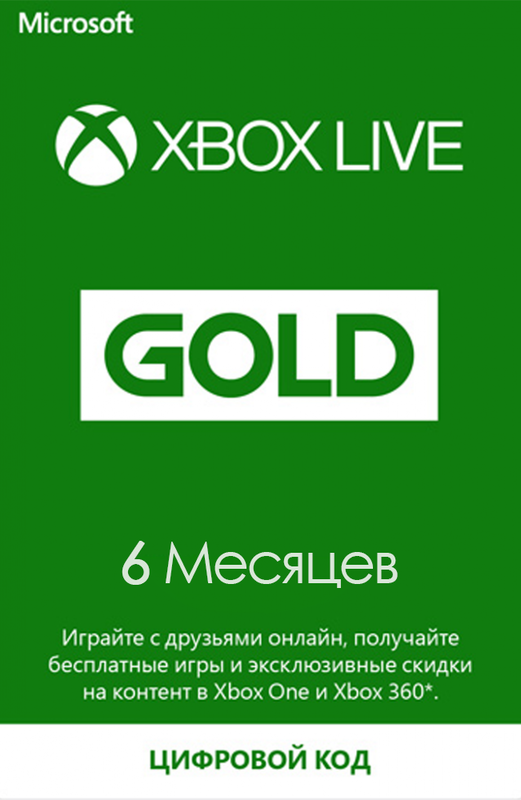 Card subscription for 6 months XBOX Live Gold is automatically displayed in the browser window and comes to your email immediately after purchase. !!! Card operation is guaranteed only on Russian accounts (RUS) !!! To activate the VPN is not required. Turn on automatic renewal and get 1 MONTH FREE. At the end of the subscription period, you can cancel the paid renewal and receive an additional month of using GOLD status for free! An additional free month is given on the initiative of Microsoft themselves, in case there are any problems with its activation - all questions are only to them, from our side no complaints about this will be accepted. Thank you for understanding.